At the heart of every online gambling operation is a software platform – a suite of tools which allows companies to run the complex technical tasks needed to offer safe and fair games to their customers. For the player, a software platform handles functions like account creation and account management, deposits and withdrawals, loyalty programs and more. For operators, they provide the backend systems needed to manage users and customer support issues, run promotions and analyze customer data, amongst many other things. Some software studios create their own games, while others simply provide the backbone crucial to running an iGaming business. While the makers of specific NJ platforms might offer some of their own exclusive titles, all online casinos in New Jersey feature a mix of games from a variety of software developers. In the Garden State, you’ll find titles from renowned studios like NetEnt, IGT, Aristocrat, Scientific Games and many more, running on several different NJ platforms. Below, we’ll break down all of the platforms in use by New Jersey’s casino sites and take a look at what they have to offer. The Dragonfish platform was created by an independent B2B division of 888 and powers the company’s own branded NJ online poker and casino sites, along with Harrah’s Casino and WSOP.com. 888, which also operates an international online poker room and casino, was founded in 1997 and has continuously fine-tuned its software for two decades. Dragonfish is the culmination of that effort and provides operators with a robust and powerful suite of tools capable of taking on nearly any iGaming challenge. Also included in its platform are dozens of exclusive games developed by the company’s 888 games division. 888 began to lay the groundwork to potentially dominate the US online poker industry after the game was legalized in Nevada, Delaware and New Jersey. Initially, poker players in those jurisdictions were only allowed to play against competitors inside their own state. Later on, however, 888 sites in Nevada and Delaware were allowed to connect player pools. In 2018, New Jersey joined the party, sharing liquidity with 888-branded sites in NV and DE as well. Traffic spiked overnight and propelled the 888 and WSOP.com poker sites ahead of previous market-leader PokerStars. Borgata, playMGM, PartyCasino and partypoker’s casino and poker sites run a platform developed by bwin.party, now owned by GVC Holdings. Partypoker launched back in 2001 and was at one point the biggest online poker operator in the world. The company runs an international online poker site and casino alongside its ring fenced, New Jersey-only offering. Players must download a special software client in order to play on the partypoker NJ poker network, but can play casino games directly through their browser. The platform does not include any exclusive games, but features a large selection of jackpot slots. Pala Interactive is owned by the Pala Band of Mission Indians, a federally recognized tribe which also operates the Pala Casino Spa and Resort in Pala, California. The interactive branch of the company was created in 2013 in anticipation of legal online gambling in the US, and built its platform completely in-house. The software includes a number of games developed internally, as well as a full complement of slots, table games and video poker machines, produced by a variety of providers. The company also boasts of an “industry-leading” fraud detection system built into the platform. Scores Casino, a skin of Pala, uses the proprietary software as well. Pala is particularly interested in refining its online poker product in New Jersey, and hopes to one day deploy it in California, if that state votes to regulate the industry. Pala Casino games can be played directly within a web browser, with no software download necessary. The company also offers mobile casino apps, available on iOS and Android devices. Virgin and Tropicana Casino rely on the GameSys platform, a well-known and award-winning software company in the UK. The firm’s designers have created several of their own slots and games, including the popular jackpot slots Wonderland and Deal or No Deal. In addition, Virgin/Tropicana offer dozens of slots and casino games from a variety of providers accessible within your favorite web browser, iOS or Android devices. 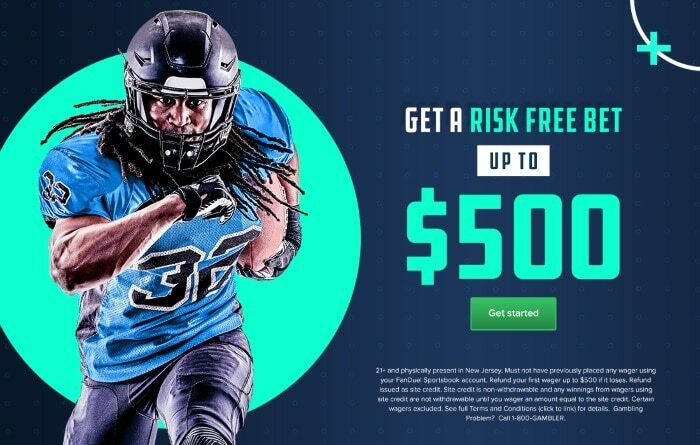 Rush Street Interactive (RSI) is an affiliate of Rush Street Gaming, a company which owns and operates several brick-and-mortar casinos in the Northeast US. SugarHouse Casino is powered by RSI software, and was built from the ground up by online gaming veterans with feedback from New Jersey gamblers. The platform offers a handful of exclusive games, along with tried-and-true player favorites. In March 2017, Rush Street announced a partnership with NYX Gaming Group (now SG Digital), which allows it to tap into that company’s OpenBet platform to access SG Digital’s extensive content library. On SugarHouse Casino, players have the choice of gambling directly through their web browser or on iOS and Android mobile devices. Thanks to the solid, homegrown RSI platform, SugarHouse has enjoyed surprising success in New Jersey, even after entering late into the saturated market. Rush Street software includes unique features like advanced filtering, and creates a community feel with a real-time feed of casino winners. The site also boasts an innovative and engaging loyalty program, which keeps players coming back for more. GameAccount Network (GAN) was founded in 2002 and quickly built up its presence and reputation in the online gambling industry. The company, which offers a turnkey software solution for iGaming operators, got its start in New Jersey in November 2013, serving as the backbone for Betfair Casino. With GAN’s help, Betfair has since become one of the state’s top earning online gaming sites. Five years later, it expanded its footprint after striking a deal to power Ocean Resort’s online casino as well. Outside of the Garden State, the company boasts customers in the UK, Italy and Spain. Gamblers can play hundreds of casino games through GAN software using their browser of choice, or via mobile devices. Betfair, for instance, offers a large number of exclusive titles and games like Hi-Lo Solitaire, which aren’t available on most platforms. Golden Nugget, Resorts, Caesars and Mohegan Sun Casino are all powered by the SG Digital (SGD) OpenBet platform. Included in SGD’s offering are dozens of games from third-party developers, like NetEnt, as well as games developed in-house by one of SGD’s nine creative studios. SG Digital (formerly NYX Gaming and SG Interactive) provides software to over 200 industry clients around the globe, employs over 1,500 people in 34 offices and boasts 40 licenses worldwide. The four NJ online casinos running OpenBet have the largest game libraries available in the state. Players can access them through their web browser or on iOS/Android devices. PokerStars launched in 2001 and is the maker of what many consider to be the best online poker software on the market. In New Jersey, its poker platform is head and shoulders above any of its competitors and likely to stay that way. PokerStars’ mobile experience, which sports a beautiful UI and a well thought out UX, is similarly impressive. In order to play online poker or online casino games on PokerStars NJ, players must download either the site’s desktop client, or the iOS or Android app. Poker is clearly the company’s focus at the moment, as it only offers a paltry casino library. Gaming Innovation Group (GIG) was a latecomer to NJ online gambling, making its debut in the state as the platform for Hard Rock AC’s online casino, which launched in June 2018. Based in Malta, GIG was founded in 2012 and is listed on the Oslo Stock Exchange. While Hard Rock is the company’s first foray into US iGaming, GIG is well-established across Europe and beyond, offering its services to online casino brands like Superlenny, Guts, Rizk, HighRoller and Betspin. The company platform allows clients to offer online slots, table games, and even sports betting. It also boasts its own game development studio and offers peripheral services like data-driven marketing and traffic optimization. The legal and regulated nature of the New Jersey online gambling market allows its online casinos to choose from a variety of top-notch, global software providers. These companies are not limited to working with a single brand, however, with some powering several of the state’s online casinos at once. While choosing your favorite software is a matter of taste, you can’t go too wrong with any of the options available in New Jersey.